This bedding is the same stuff that we use to raise our Mealworms and Superworms. It is the right mix for growing and breeding meal/super worms. -Place one to two inches of bedding in your meal/super worm bin. -Sift out worms and replace the bedding when the bedding turns into a powder-like consistency/texture. 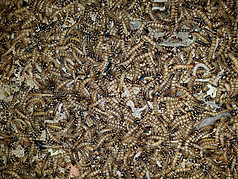 If your mealworms pupate into the adult beetle do not change the bedding as it will contain eggs of future worms. Just let the bedding sit until you can see small mealworms and then sift into new bedding. Add bedding as needed until the mealworms are big enough to see and sift out. 2 LB. 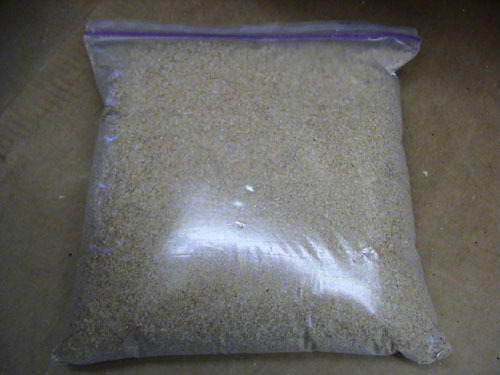 bag of bedding (approximately a galllon-size bag) for $14.18 Shipped via USPS Priority Mail!